Don’t you get tired of all those pots and pans you have to wash when you’re family gets done with supper? I sure do. Many nights I’ll use three or four pans for one meal. 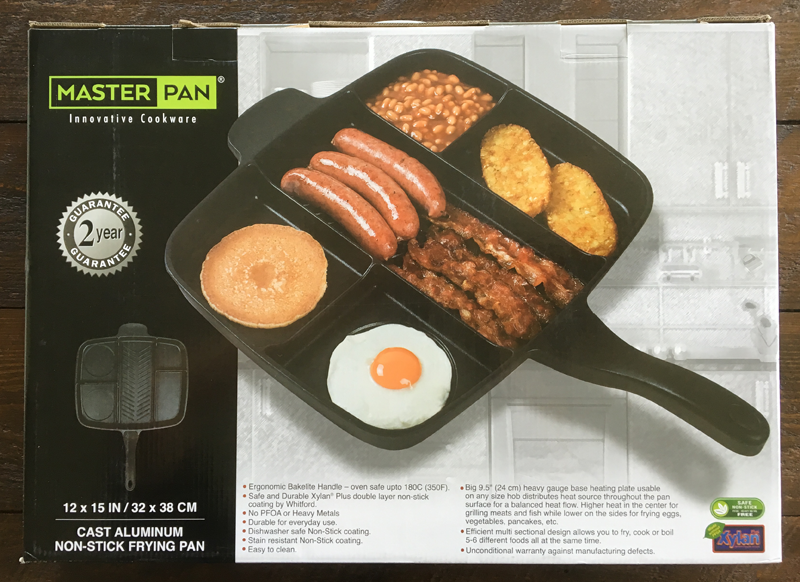 I was really excited when I was sent the Master Pan to review especially with all the celebrity buzz I’ve been hearing about this innovative cookware. 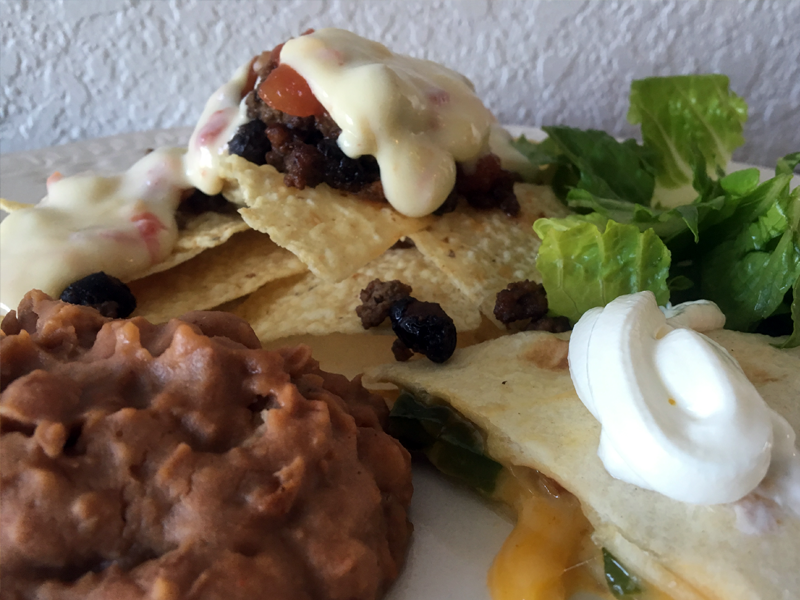 So, I thought I’d put it to the test and make delicious quesadillas and nachos to share with all of you! 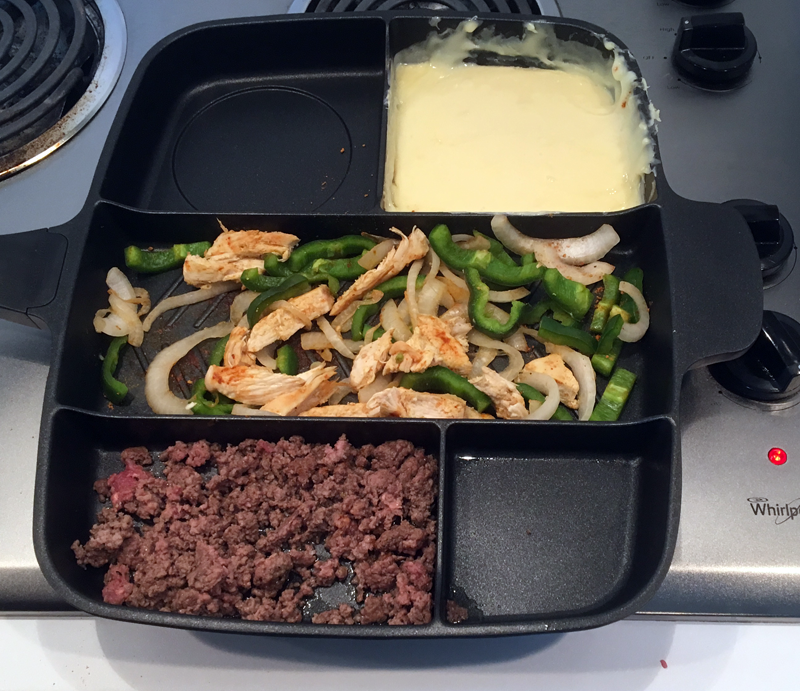 My favorite part of the Master Pan is that I only use one pan and one burner! If you look at the bottom of the pan you can easily tell where to place it on one burner which makes the center the hottest cooking area. Another great thing about the Master Pan is that you get perfect portion control. If you watch your diet it’s the perfect answer for you! You can even place your pan in the oven up to 350° for one hour. Breakfast is so awesome with the Master Pan but I wanted to show you something different than that. I thought I fun Mexican style supper would be the way to go. I made quesadillas and nachos that my family enjoys for supper. Plus, they make great appetizers for any party! 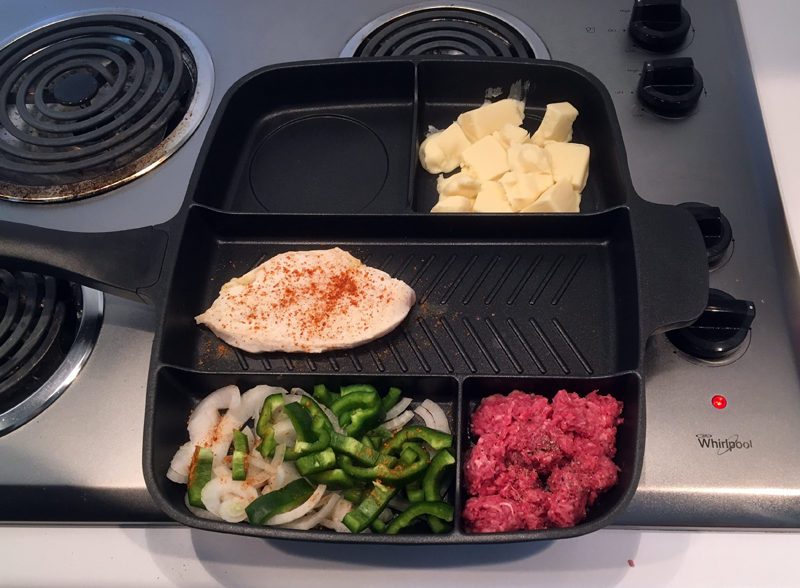 For my family of three, the Master Pan is perfect! Add peppers and onions to one section of the Master Pan. Season with taco seasoning. Use a different space in the Master Pan for each ingredient below. Add the chicken breast and season with taco seasoning. Slice the chicken breast. Add it back to the center of the Master Pan and mix the vegetables and onions with the chicken. Transfer the ground beef to a different section. Add rotel to the Queso. Season ground beef with taco seasoning. 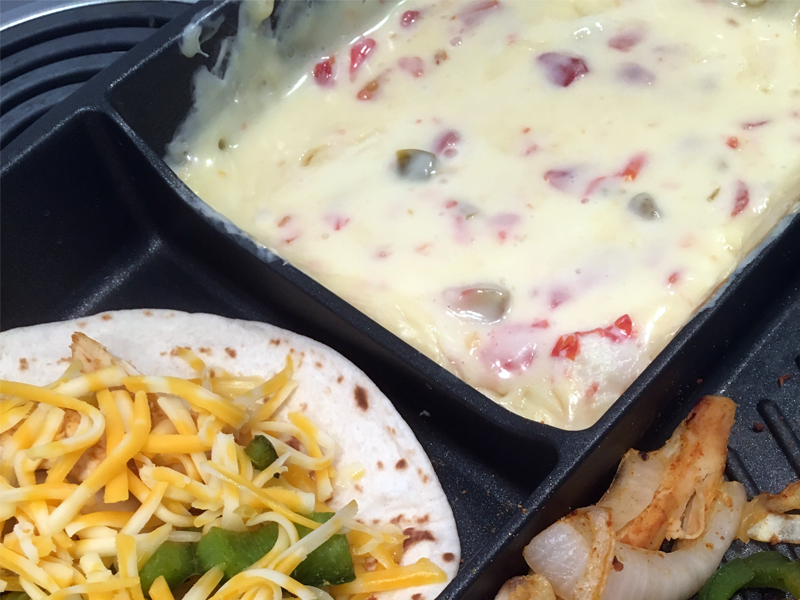 Start your quesadillas. Butter one side of a small tortilla. Add to one section of the Master Pan. Cover with cheese, vegetables, chicken, onion and more cheese on top. Finish with an additional buttered tortilla and flip to cook both sides. After I was done cooking and eating it was time to see how easy it was to clean my new Master Pan. It’s made of quality non-Teflon nonstick, much like my OrGreenic™ fry pan and T-Fal Fry Pan. These pans are so easy to clean! I wipe them clean with the soft side of my sponge. Don’t use harsh sponges on your pan. You want to keep that nonstick non-sticking! I find this very important and tend to baby my pans. 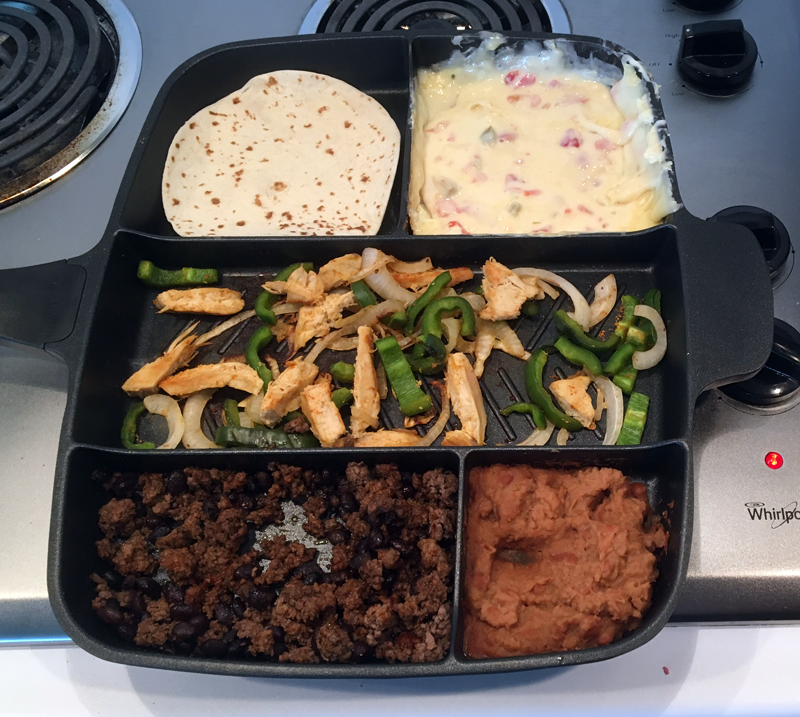 Master Pan is great for everyone from college students, newly married couples, kids, empty nesters and even large families with different food tastes, campers – pretty much everyone! The Master Pan retails for $79.99 but you can get $20 off with our exclusive coupon code: MP215. Get yours at http://masterpan.com/. Yes, that’s an awesome deal! I have to get that pan. I love it! Would be so perfect for just me and my son. Wow what a great pan. I loved watching your video above and seeing how you used the pan. Everything looked so yummy. I also love that you can use it for portion control too. This pan cooks like a chef! We are empty nesters. We cook only now & then. A lot of times, it is cheaper to either eat out or pickup food & no mess to clean up! But this would make a great gift for some of our friends, who are in the same situation as us. Oh my goodness these look amazing! I absolutely love that pan! Holy cow! I’m actually drooling! This pan is awesome! 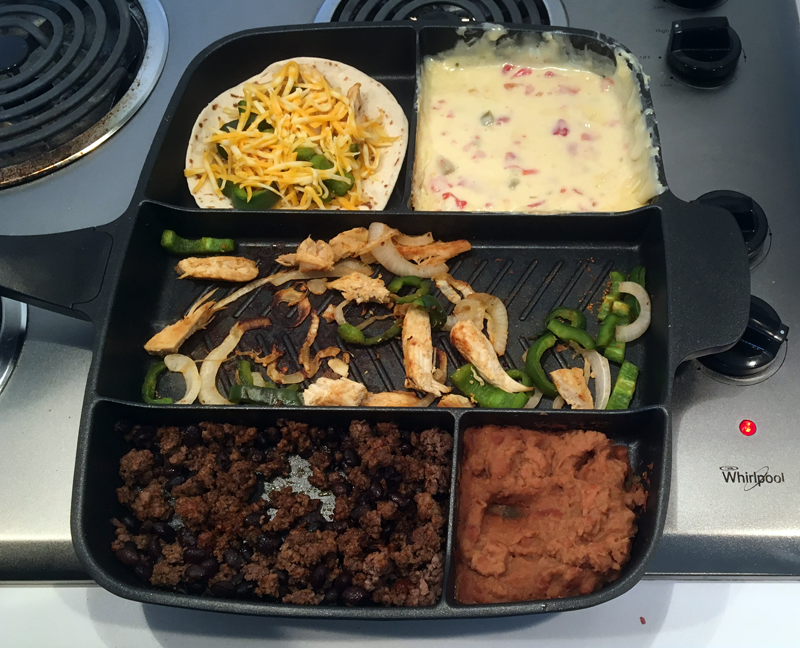 I love the idea of one pan, because I hate cooking and I can even make this awesome looking dish! Yum! These look really good. I’ll have to try this. I love this pan! I look around sometimes after making a small dish and wonder how did I make these many dishes, even trying hard to keep it to a minimum. I must try this! i have never seen a pan like this! i need one! Wow! That would make things so much easier. Oh Wow!! This is the coolest pan. So glad I know about it now. I’m the one to usually cook and also clean up. We love Mexican and will make this. i need that pan in my life!! Okay that pan is way too cool. I never thought that I would ever say that about cookware. I need one of those- and this recipe. I want a Master Pan!! It would great way to cut down on dishes! This pan sounds amazing! With a larger family this may not be good for me but I know a few Ppl this would work for. I have got to get one of these! It would be the perfect kitchen gadget to have. I would love to use it to cook Mexican food because it’s my two sisters’ favorite!